What color should I add to my kitchen? What will the countertop need to withstand? By answering these questions, you can begin to form an idea of your needs and desires, and begin the search of the many options available to you. 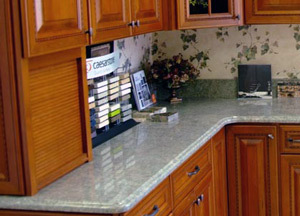 The number one deciding factor is cost when deciding on the material to choose for your countertops. 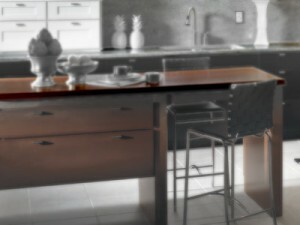 Laminate countertops is the most cost effective package possible with many designs and patterns available. Top grade materials which fetch higher prices include granite, marble, and quartz. These higher-end, durable countertops maintain their natural beauty and robustness straight from the mines. 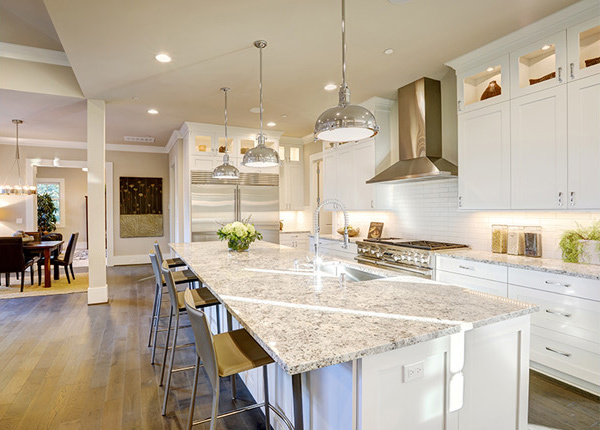 Some homeowners seek the resilience and magnificence of granite countertops without the bright sheen. Honed granite is a matted version which is very subtle – great for kitchens with low light and bright wall finishes. Also, honed granite is perfect for toning down a busy kitchen full of other eclectic materials. By asking yourself what exactly your countertop needs to withstand, you can compare the durability of available materials. Our expert kitchen designers at ASA Cabinets will work with you to determine the best material choice for your kitchen within your budget. To schedule a free consultation, please visit us online, give us a call, or stop by our showroom. Other achievements of the Caeserstone name is that of being GREENGUARD certified, meaning that they have been cleared for safe use around children and schools. Not only that, but Caeserstone is also backed by the National Health and Safety Foundation (NSF) as being safe enough to use in places such as medical centers, restaurants, lodging and more. 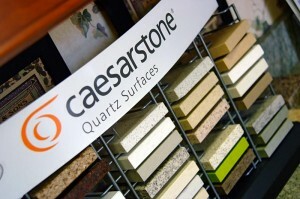 The next time you or someone you know is on the market for high-quality counter tops, point them towards Caeserstone. 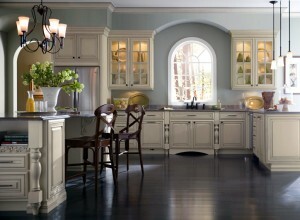 With over 40 finishes and looks to choose from, you’ll have something unique to your own home. When it comes to green & pristine surfacing, Caeserstone is an all-around better choice. Homeowners Trust Us… Builders Recommend Us. We look at tiled countertops, a great alternative to the uber-trend of solid, mostly granite tops we’re seeing everywhere now. Give yourself something unique. Go with tiling and you’ll be glad you did. Thanks to This Old House we have 9 ways of livening up your cabinets that might be a little bit worn out. Click the picture link to get started, and be sure to check back for more. 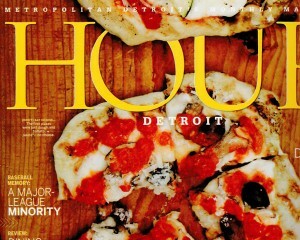 We have been featured in HOUR Detroit Magazine. If you’re remodeling your kitchen you now have more choices for your countertops than ever before. All the choices are great but it can make the decision a difficult one. Many people are starting to mix styles and materials. If you want to do mix styles it’s good to know about the pros and cons of the different styles. Below we review the engineered stone counter tops. Engineered stone is virtually 100% real rock – about 90% in fact. Engineered stone is simply rock mixed with resins and pigments. Costs vary from $40-125$ per square foot installed. If you’re remodeling your kitchen you now have more choices for your countertops than ever before. All the choices are great but it can make the decision a difficult one. Many people are starting to mix styles and materials. If you want to do mix styles it’s good to know about the pros and cons of the different styles. Below we review the ceramic tile counter tops. 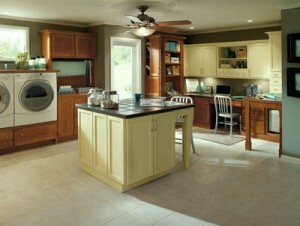 If you’re remodeling your kitchen you now have more choices for your countertops than ever before. All the choices are great but it can make the decision a difficult one. Many people are starting to mix styles and materials. If you want to do mix styles it’s good to know about the pros and cons of the different styles. Below we review the laminate counter tops.